Today oil companies know they need to digitally transform their operations to stay competitive in an industry challenged to increase efficiencies. 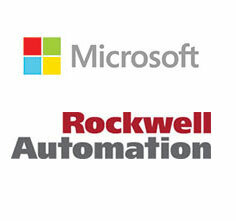 Microsoft and Rockwell Automation have joined forces with secure, integrated IIoT solutions to help you digitize, connect and analyze smart assets from the wellhead to the point of custody transfer. 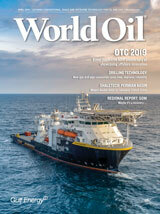 Contextualized data and analytics can help improve nearly all aspects of oil and gas production, from maximizing equipment performance, meeting production targets and lowering operating costs to improving operational efficiencies and optimizing production. Geothermal project activity is increasing worldwide to take advantage of a sustainable resource to produce electricity and to provide district heating with a reduced environmental footprint. To efficiently extract the heat from the ground, geothermal operators face tough challenges, such as reservoir environment, pressure loads, high temperatures and also economic constraints. Smart solutions and a clever conception of the well are key for the success of a long-lasting geothermal project. Vallourec puts its vast experience as a world leader in tubular solutions to the service of geothermal applications, providing a large range of products and services, which allow our customers to optimize the total cost of ownership of their geothermal assets. This webcast will address how Vallourec can help operators to overcome the challenges of geothermal wells to provide sustainable and efficient solutions. The global energy industry has seen how the shale boom turned the US into a leading gas producer and exporter. Much of the recent development in the Americas natural gas/LNG sector has been concentrated in the US Gulf Coast region, which is the key energy hub for much of the world. But what about Mexico? During this 60 minute live webcast, Energy Web Atlas’ Brian Balboa, Research Coordinator, Peregrine Bush, Senior Cartographic Editor and Scott Allgood, Director of Data Services, will discuss the potential future of Mexico by addressing: +What does the current natural gas/LNG sector look like in Mexico? +What is the status of Existing, Planned and Under Construction Pipelines in Mexico? +And most importantly, what key factors should the industry be aware of? During this 60 minute live webcast, Moderator, Joe D. Woods, President, International Pinpoint, will lead discussion on these topics: 1) “Unlocking the potential of secondary fractures,” with presenter Chris Tanguay, Director of Research and Development, Oil & Gas Division, US Silica. 2) “Redefining shale fracturing fluids,” with presenter, Dan Fu, Ph.D., Director of Technology, BJ Services. 3) “Produced water reuse and recycling challenges and opportunities,” with presenter, Mark Patton, President and CEO, Hydrozonix.